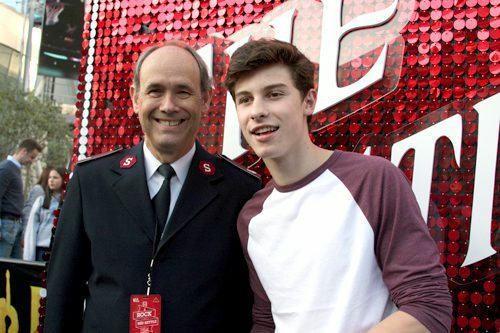 Shawn Mendes with Lieutenant Colonel Ron Busroe of The Salvation Army before the show. Annual event spotlights Red Kettle Campaign. 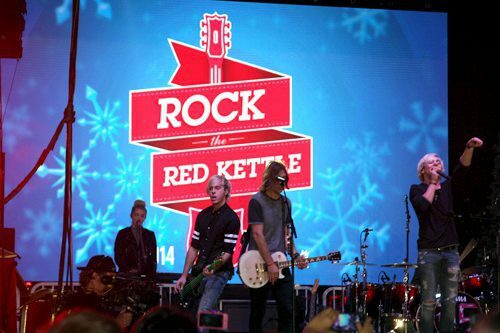 The 2014 Rock the Red Kettle event brought thousands of fans to L.A. Live in Los Angeles for a night of entertainment in support of The Salvation Army’s Red Kettle Campaign. The free concert included performances by Becky G, Shawn Mendes, R5, Bea Miller, Josh Levi, and Exists Elsewhere. Each performer shared their own personal reason for supporting the Red Kettle Campaign using the hashtag #RedKettleReason, and inspired their fans to do the same. Show host Ned Specktor of Specktor Media produced the event, helping to bring awareness to the Army’s annual campaign and to spotlight its services for 30 million Americans each year.